Carl R. Todd returns to San Diego's Lindberg Field on Sunday October 20th 2013. 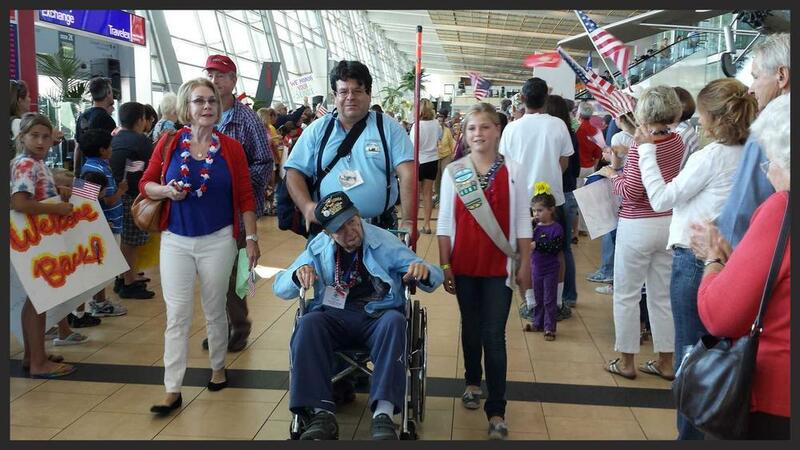 Honor Flight San Diego - Eighty WWII veterans returned from seeing their memorial in Washington, DC. This flight returned to Lindberg Field, San Diego, CA. An amazing day with my friend Richard, friends from my WWII flying group and many others at the 'Memorial Weekend Honor Flight Welcome Home' celebration. All of us young and old honored WWII Veterans as they returned home from seeing their WWII Memorial in Washington, DC. Lots of emotion, tears, joy and happiness. So happy to see so many children attend. A truly Patriotic day filled with memories I'm sure we'll all hold close to our hearts. Per Honor Flight San Diego website: If you are a Veteran and would like to fly on an Honor Flight San Diego "Tour of Honor", please click on the link below and print the Veteran application, complete it and return as noted on the application. Our qualified veterans are selected on a first come first serve basis as funds become available. Our flying season runs from late spring to early fall. 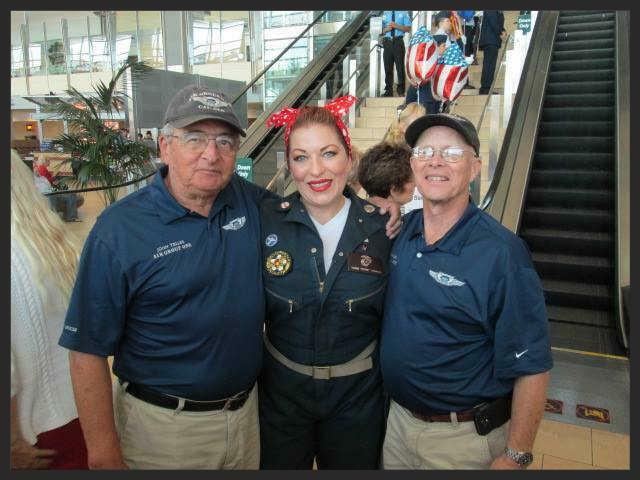 Air Group One were Col (Ret) John Telles, Rich Kenney, and Air Group One's own "Rosie the Riveter" Torri Mowery! 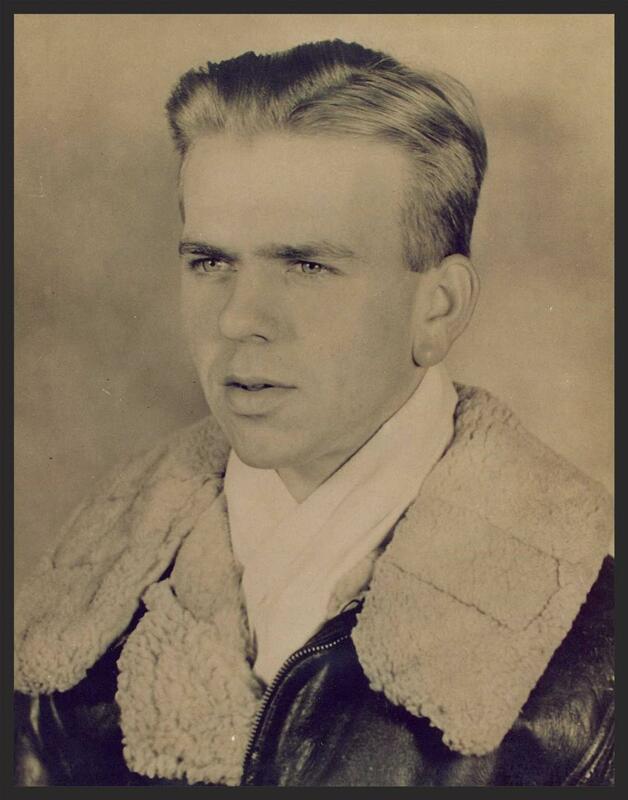 Combat Action Ribbon Recipient, age 19.